Recently, we were challenged by one of our clients to create an enterprise virtual reality experience that highlighted the scale and complexity of their media delivery systems by leveraging the unique capabilities of an immersive, three dimensional world. As their trusted partner for interaction design, many of the requirements were left to us so we were free to experiment with different concepts, and we enjoyed the latitude in applying the revived technology of VR to their robust enterprise software. Our resulting product was met with unanimous enthusiasm when we demonstrated the experience with our client’s high level advisory board. In the process of reaching that end, we learned a number of lessons, primarily that having a solid plan and well defined requirements are even more critical for VR that for more common 2D experiences. Our timeline was aggressive, so to ensure we created the best possible experience we set two teams out to explore and iterate different concepts. One team pursued a room-space environment, where the other explored a stationary experience. We considered both approaches but chose the stationary experience as we would have multiple users sharing the same space to demonstrate the product, and also because it wasn’t intuitive to navigate by way of interacting with objects in a room space environment. This clearly illustrated to us that there isn’t a defined paradigm for interaction with enterprise applications in three dimensional space. Using a stationary approach with simplified “point and click” interactions lent familiarity to the experience. Once we chose the stationary environment, we focused on leveraging the enormous display capacity to show complex information in an easily understood way. This was successful in showcasing the opportunity represented by such scale that can’t be achieved in any other way. We tested our application with anyone we could, looking for feedback to guide the simplification of interactions. While this was helpful, we ultimately would have been better served by test users who were more similar to the audience for whom the experience was being designed. Understanding the user population is also a critical component to device selection. We designed this experience for the HTC Vive, and one of the drawbacks to this platform is the sheer number of buttons present on the controller. Even with tooltips and instructions, some users would consistently press the wrong buttons. Until an interaction model becomes intuitive, it would be extremely useful to include an exercise designed to orient the user to the controls being utilized in the experience. The device selection is also an important piece of designing the experience and must be paired appropriately. Fortunately, HTC Vive supports both room scale and stationary experiences, but Oculus Rift and Samsung Gear VR are limited to stationary experiences at the moment. This highlights our most important takeaway, that defining requirements and establishing a thoroughly explored plan is critical to success. Our selected platform allowed us to pivot and make use of either environment, which was helpful. However, with simplified interactions, our experience may have been more intuitive using Oculus Rift or Gear VR. This would have helped us to avoid some confusion by limiting unused controls. If we had chosen either of these platforms though, we would have been constricted to a stationary experience alone. In addition to the flexibility of our hardware, another strength to our explorations was that we developed in Unity. Unreal has greater brand recognition with some of our clients, but doesn’t support concept iteration in the same way as Unity. Unity enables quick changes of direction with minimal effort, making it ideally suited to exploratory exercises such as this. Unreal may produce better results in cases where requirements are extremely clearly defined and rigidly adhered to. With limited requirements defined, Unity and HTC Vive are an ideal platform for experimentation. This flexibility enabled our success, but it also resonated with our users. When we asked our audience about where they would like to use this technology we saw three answers that consistently appeared in their responses. Most commonly, users want to prototype objects and experiences for user testing. This can dramatically lower the cost of exploring different concepts where physical production can be costly. Our users were also excited by the potential for visualization and analysis of complex data sets, as well as collaborating remotely with other users to view and manipulate the same objects. We believe that this collaborative experience is the best possible substitute for physically meeting face-to-face; shared experiences in a virtual environment with voice, imagery, and depth translate the nuance of human interaction that is unparalleled by any other technology. In addition to tasks where rich collaboration is imperative, we would highly recommend VR for use-cases where complex data sets need to be clearly visualized, two dimensional displays limit interactions, privacy and confidentiality are mission critical, and where capital expenses are prohibitive barriers to innovation. These cases have great potential in industries such as petrochemical, telecommunication, medical/scientific, and engineering. Cases that rely on data entry, media consumption (tv, movies, etc…), and long duration use are not well suited to VR in its current form. While VR is enjoying a renaissance at the moment we are sure to see a landslide of dazzling experiences, but accomplishing something that is both beautiful and productive requires deep understanding of the capabilities of the technology available today. 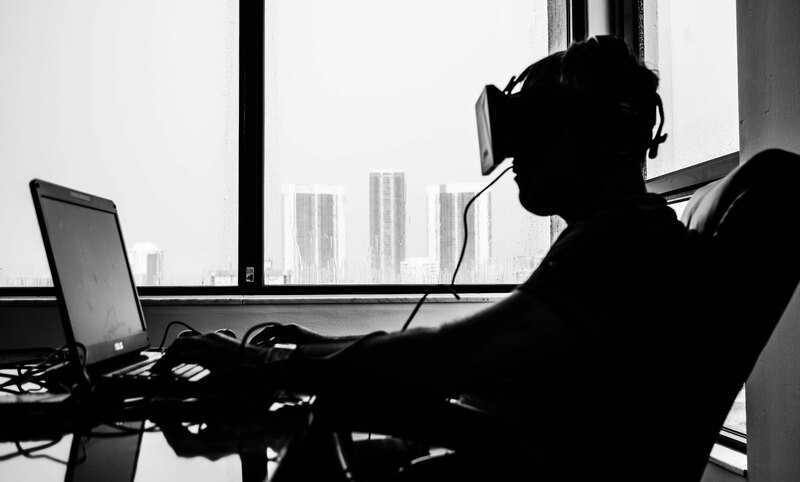 Any great VR experience starts with deeply understanding the user’s needs and capabilities, as well as the client’s likelihood to adhere to scope and requirements. These two variables will define the appropriate hardware selection and development platform. Understanding the user’s abilities and expectations will guide the complexity of interactions; until VR becomes more commonplace it will be challenging to balance the experience without oversimplifying it. Investing the effort in understanding and involving your users and setting a clearly defined plan, choosing the right platform, and avoiding the pitfalls described here will result in a VR experience that is delightful, cost-effective, and efficiently productive in ways that two dimensional interfaces can’t come close to achieving.